The Nexus Chronicles focuses on Rude’s role as artist and co-creator of this award-winning series. 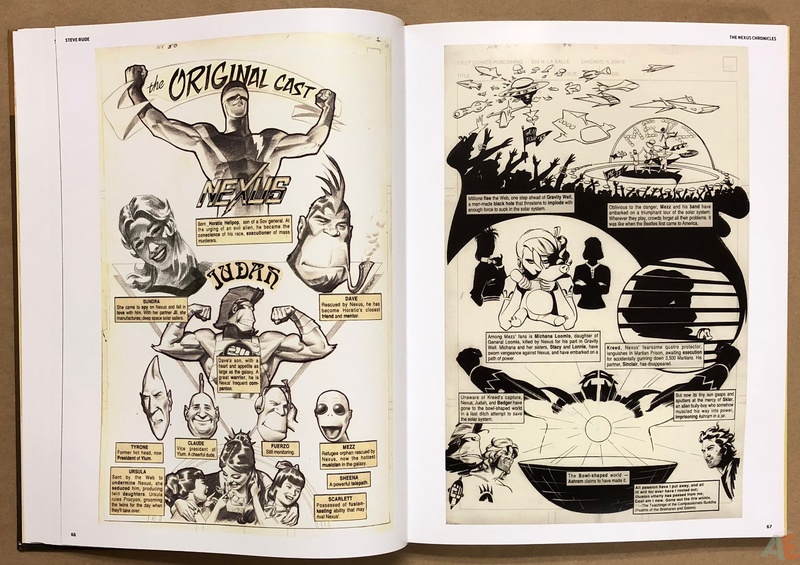 Three dedicated years have gone into assembling the original art for eight of The Dude’s favorite creations, including Nexus: Wages of Sin #1 and Next Nexus #1, both of which are shown with their pencil and finished inked forms facing one another to highlight the process. 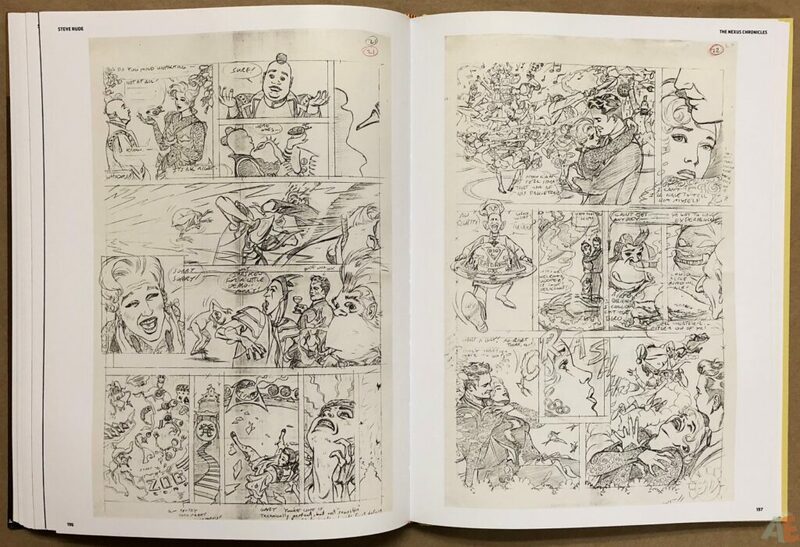 Nexus #50 and the rarely seen eight-page “All in Sundra” are reproduced from their inked originals. 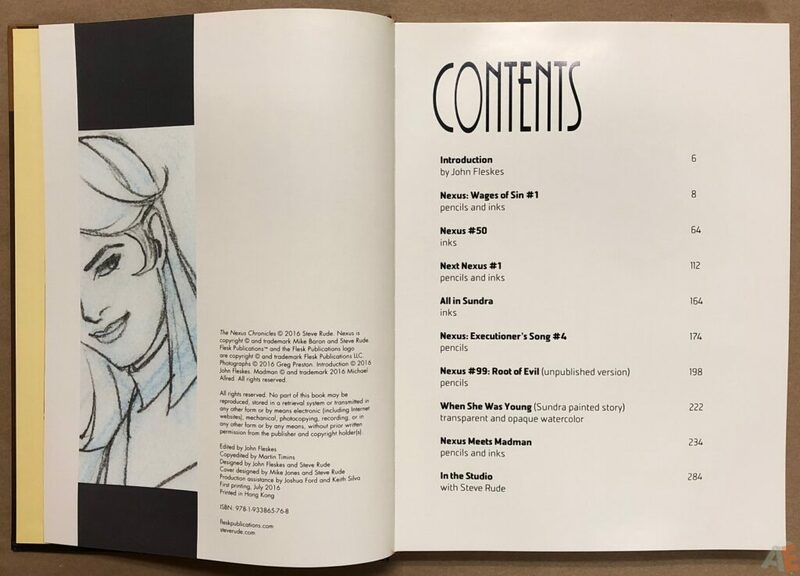 Also featured is the previously unpublished Nexus #99 in pencil form and the fully painted Sundra story “When She Was Young,” and more. 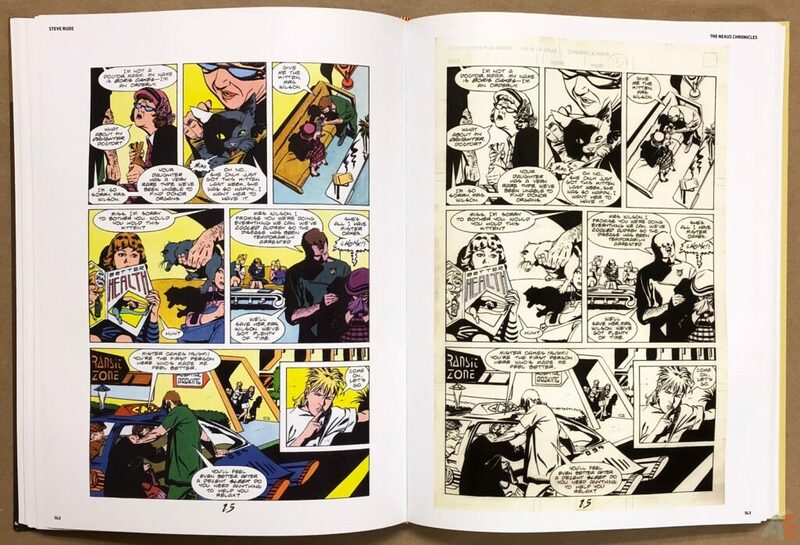 Each issue has been meticulously scanned directly from The Dude’s personal archives. 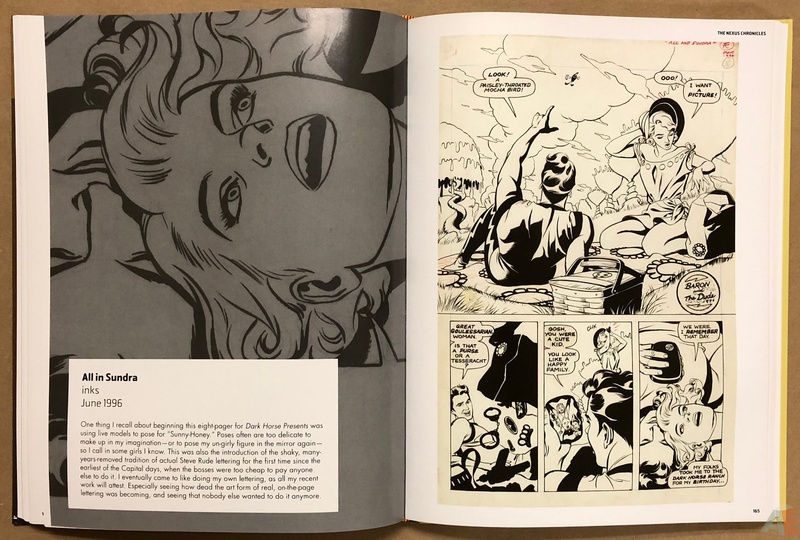 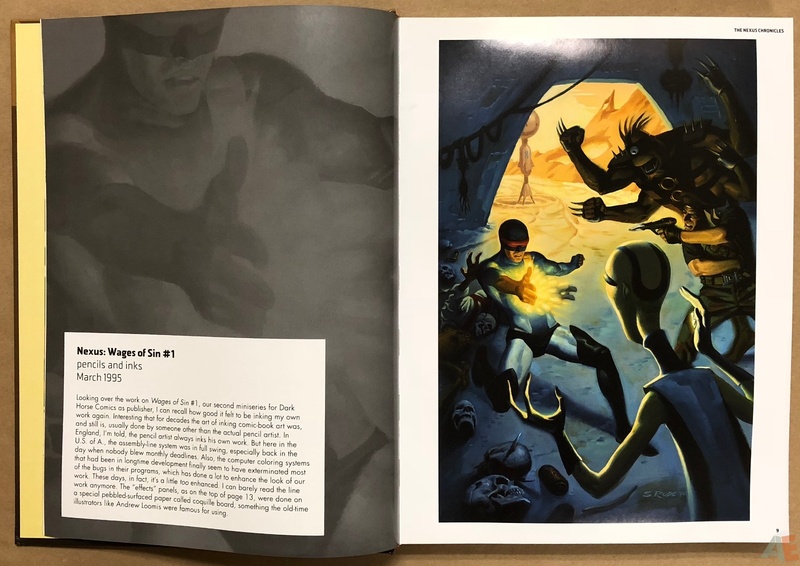 Every chapter opens with a spotlight on Steve Rude’s painted covers and supplemental drawings taken from his sketchbooks. 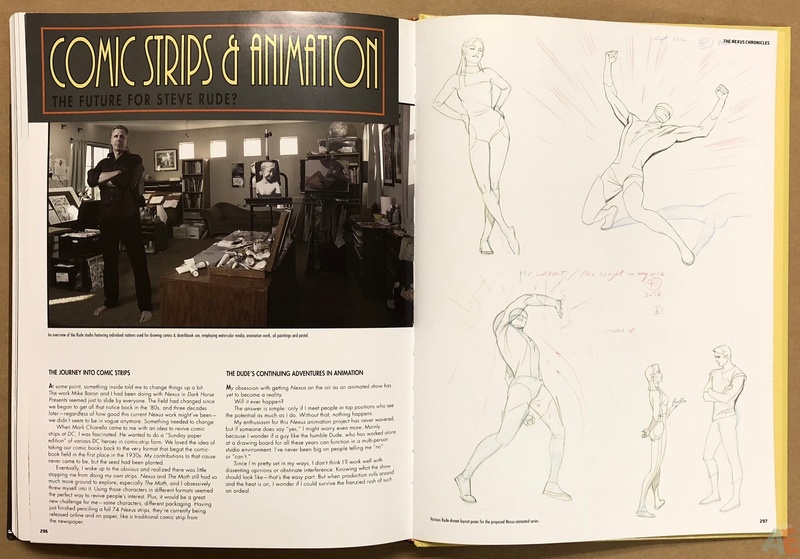 These openings highlight concept drawings, preparatory thumbnails and cover-color compositions, following an introduction by the artist. 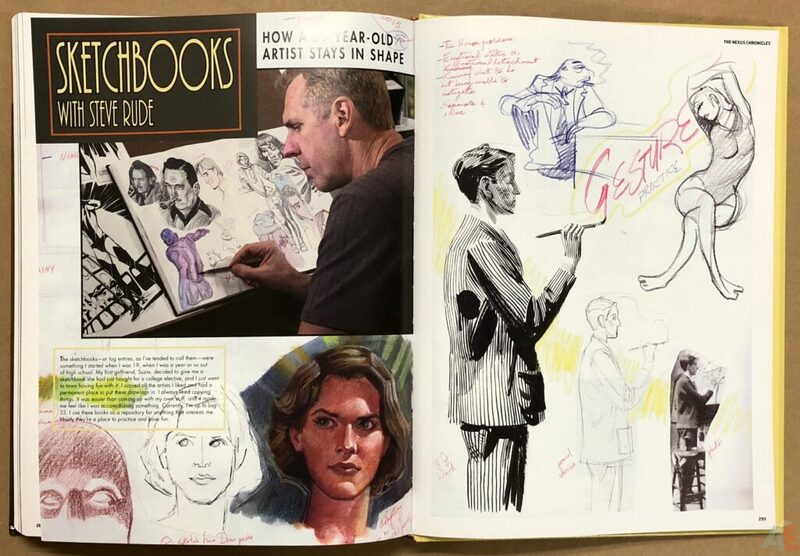 An expanded interview offers insight into his craft, and photographs by Greg Preston show Rude working in his studio. The best original art retrospective of Steve Rude, period. 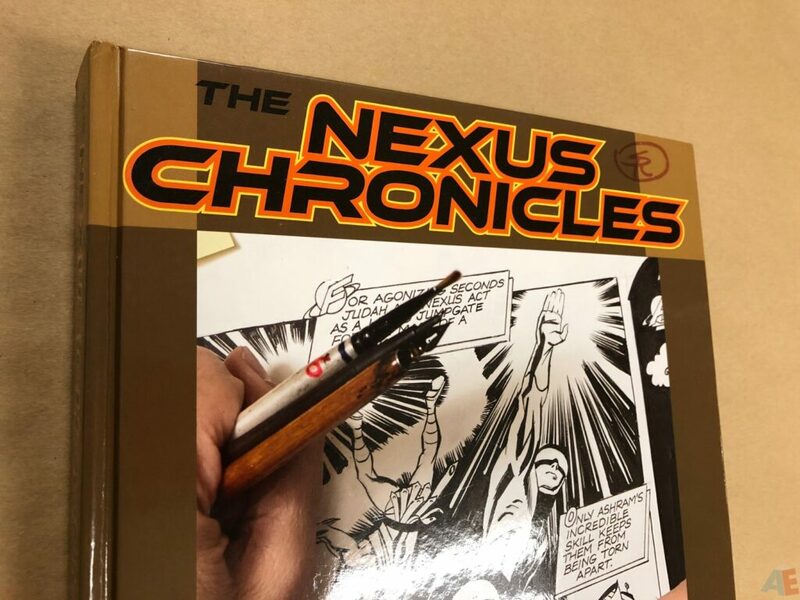 The Nexus Chronicles shines not only from the glossy paper but from the complete look at Rude from pencils, inks, paints and a discussion of process. 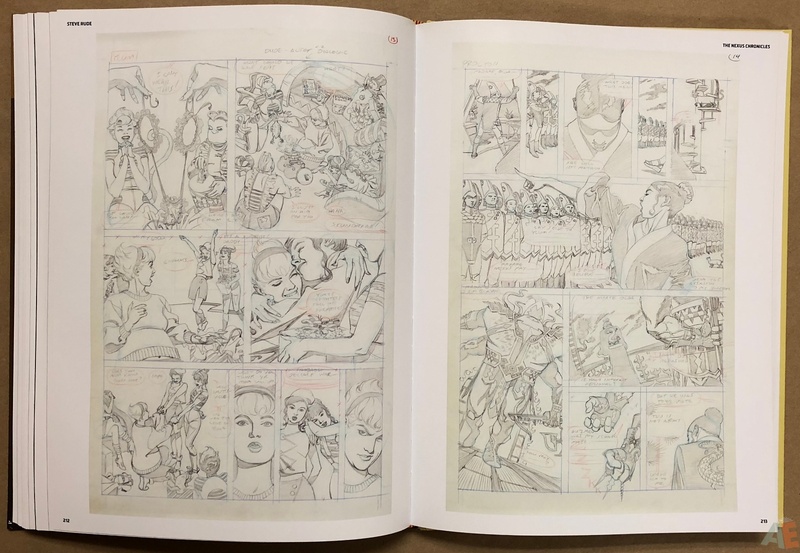 The only way it could be better is at 12″ x 17″, the full size of the artwork presented. 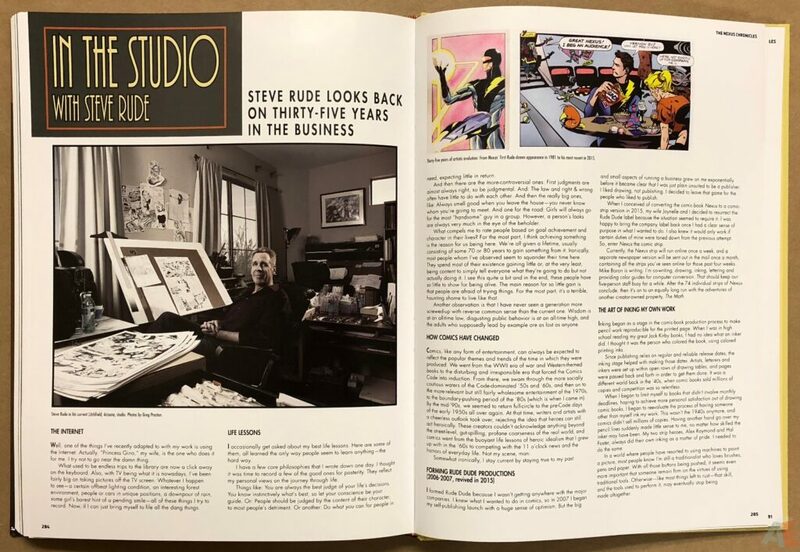 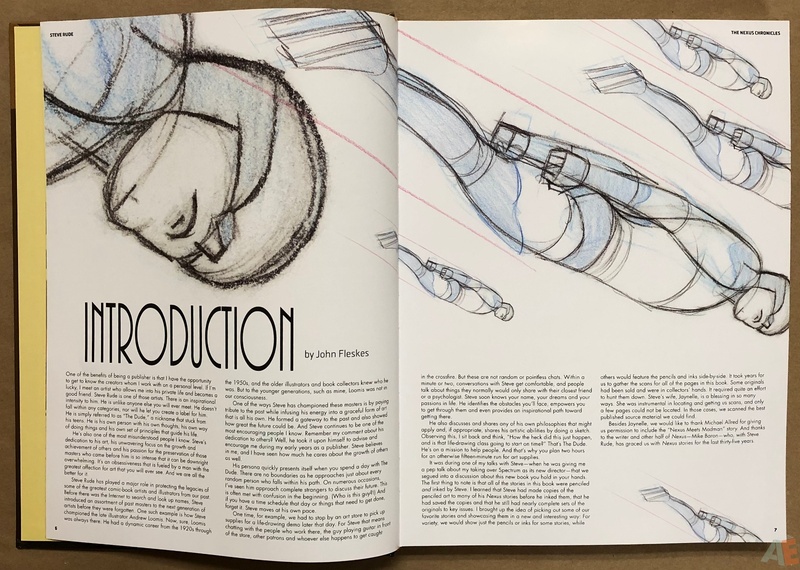 It leads with an introduction by the books’ editor John Fleskes, eight stories with pencils, inks, or a combination, closing out with a look at Rude in his studio and current projects. 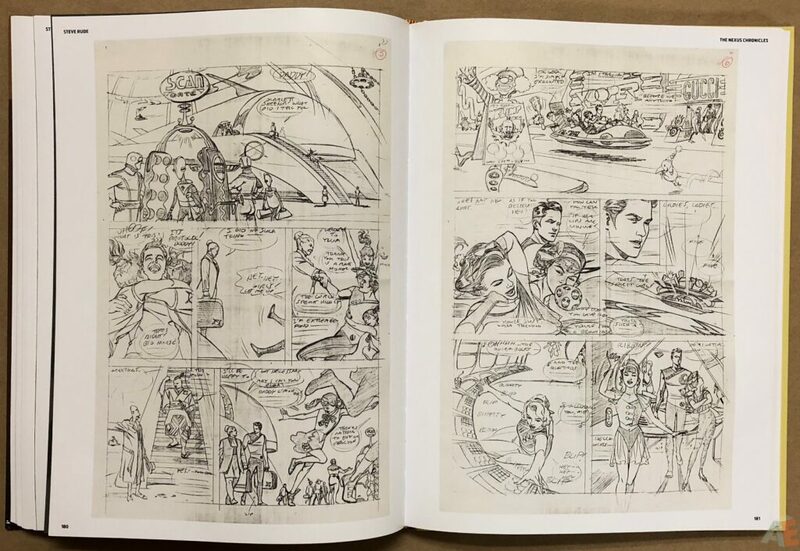 Most of the scans are clear and well presented. 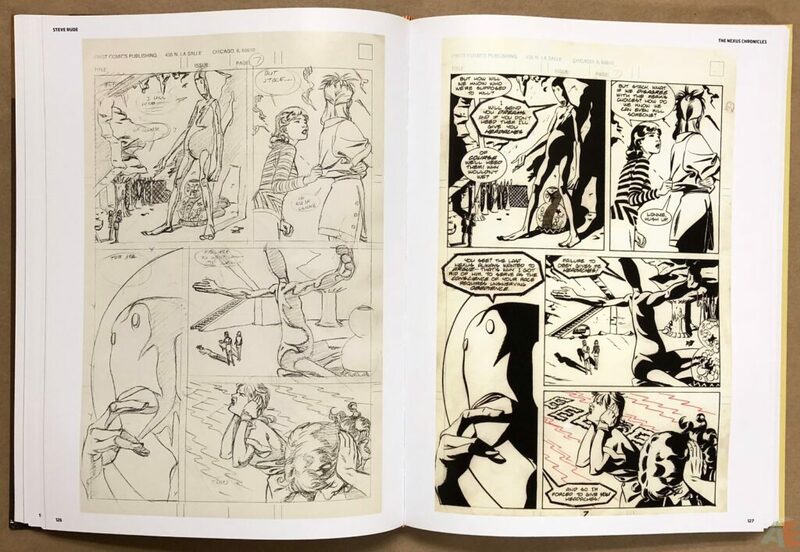 Some originals could not be located and those are replaced with scans from the comic as printed. 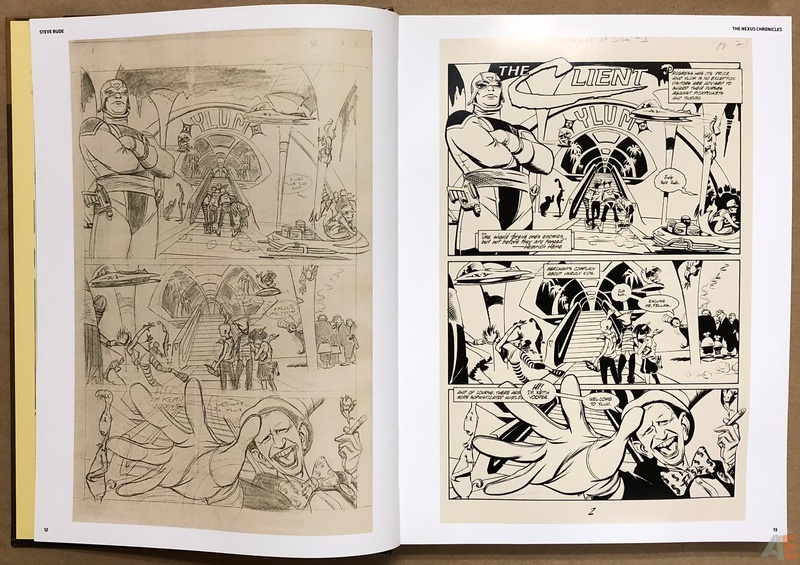 The pencils were copies done by Rude before inking so we lose in the penciled dialog, but the pencils provide a great look at what Rude finishes and completes in the inks. 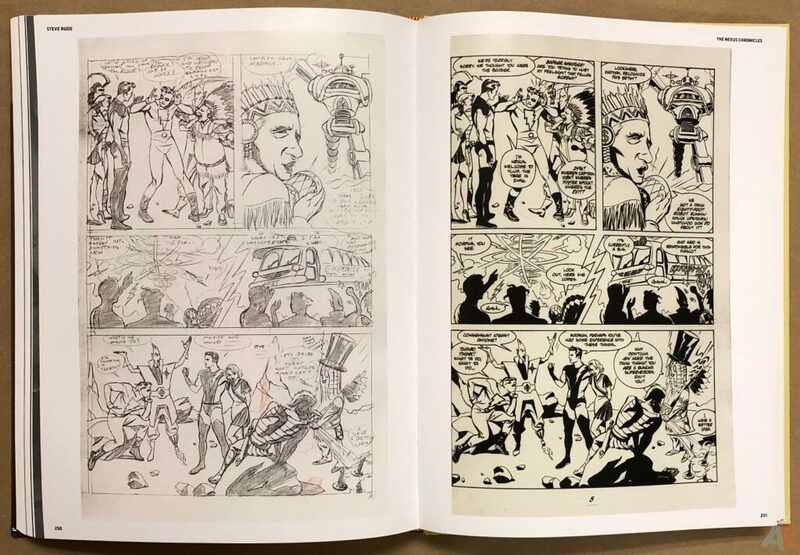 Blacks show little to no gradients. Blue line, red marker, red pencil and a few other mediums show up. 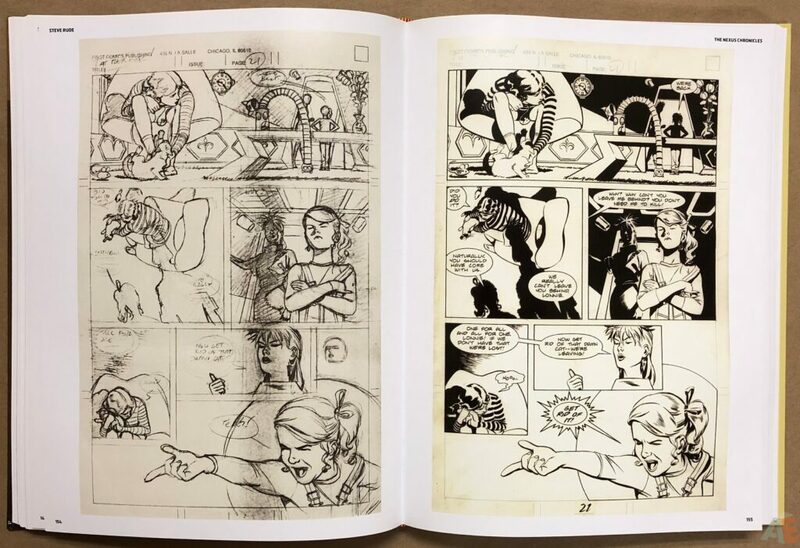 The material is from 1988 onwards and shows aging from off white to light yellow and tan. 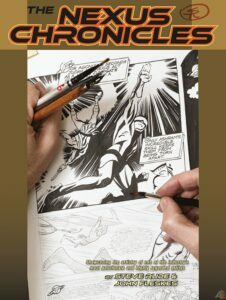 We get to see it all here, from rough pencils to completed inks, and on those pages corrections, replacements and notes. 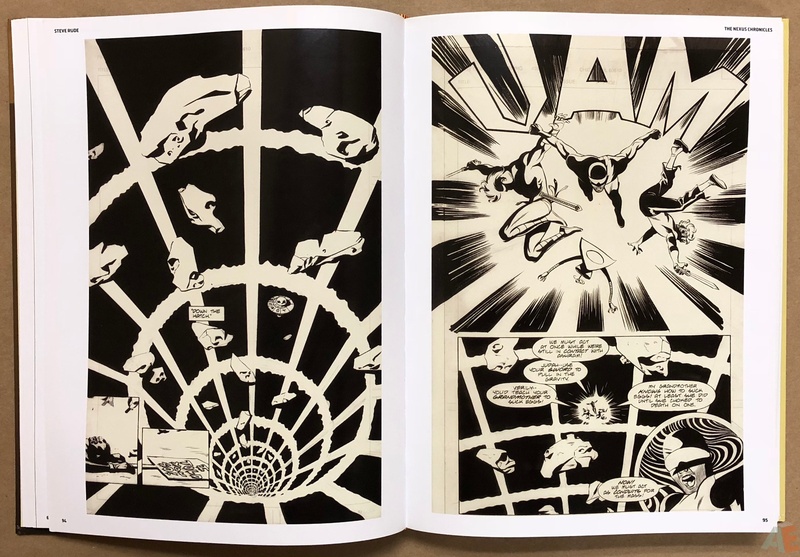 My desire for a full-size edition is not hyperbole: we lose detail at this 9″ x 12″ printed size that was there in the scans. 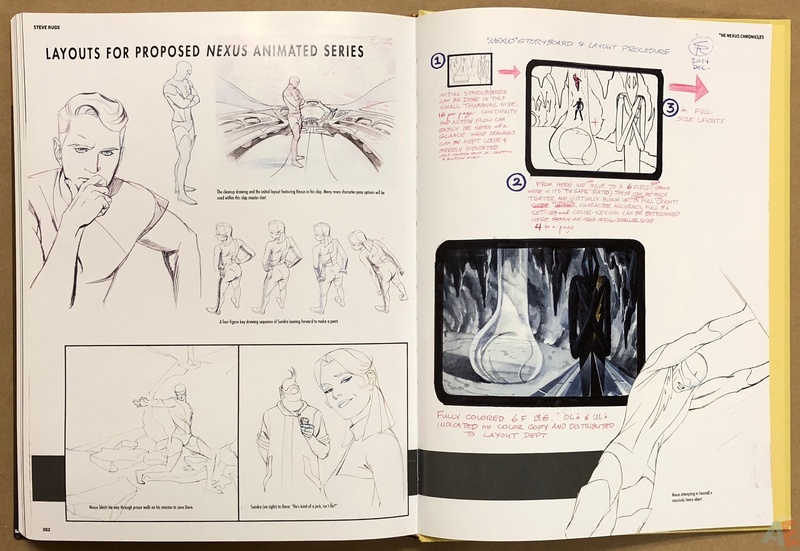 The book is well designed and presented. The dust jacket and plain endpapers give way to chapter dividers providing a brief insight into each issue, featuring a grayscale enlargement. 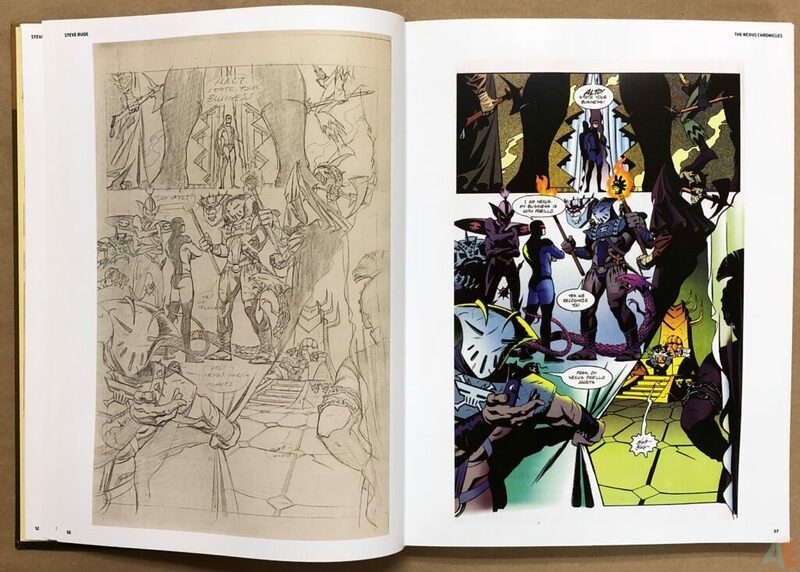 Every page is numbered and shows the book’s title and creator. 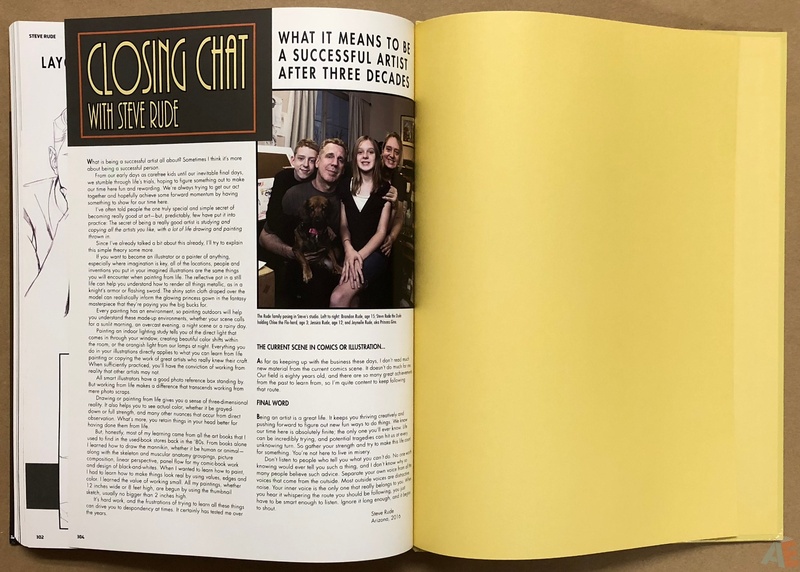 The peak behind the curtain that is the studio interview builds the overall package. 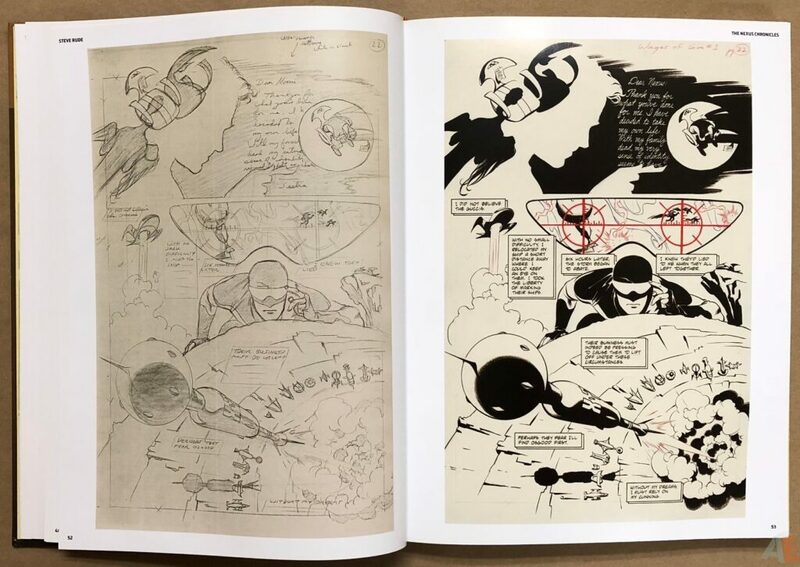 Nice to see the New Gods Artist’s Edition! 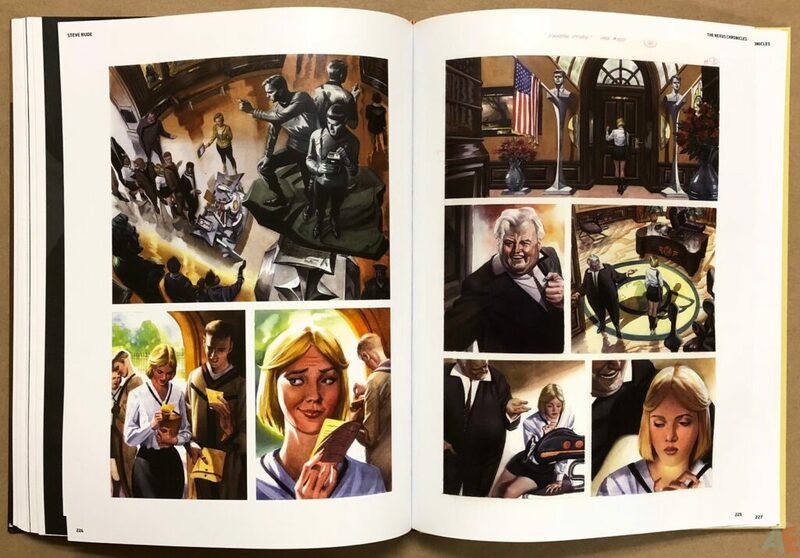 Production is excellent: thick glossy paper in a sewn binding. 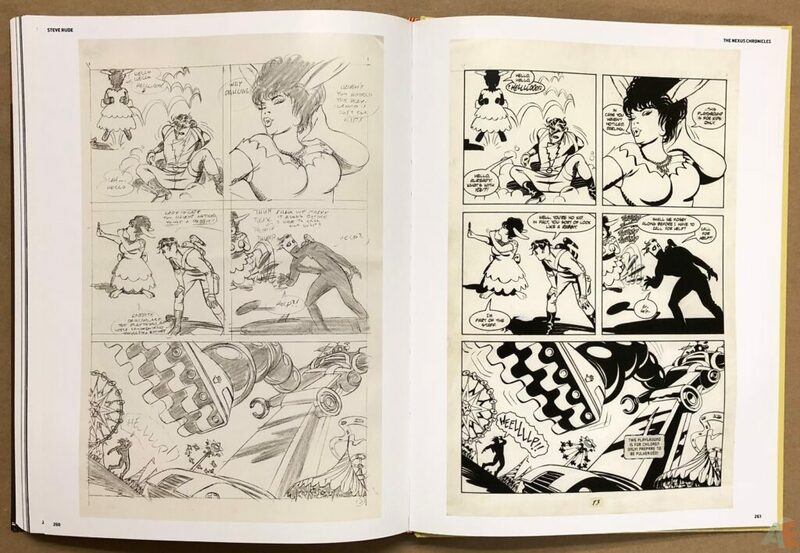 The book comes with a dust jacket showing the same image as the cover, the flaps offering a blurb and bio of Rude.